The Southwest Monsoon hit Kerala today, marking the arrival of the rainy season in the country, private weather forecasting agency Skymet said. 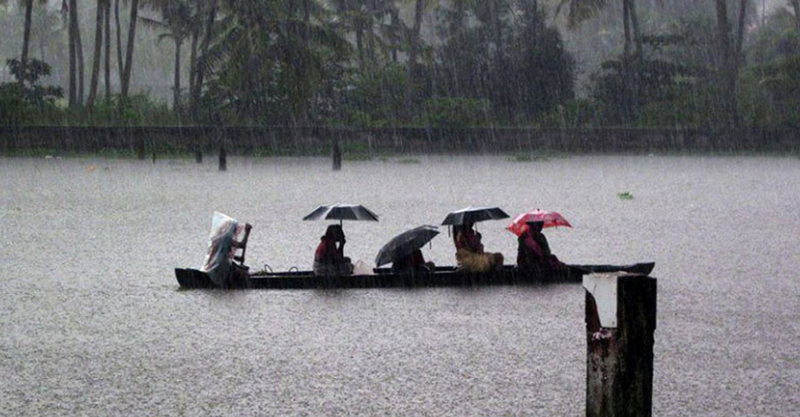 However, the India Meteorological Department (IMD), the country’ official weather forecaster, in its 8.15-am bulletin, said Monsoon would hit Kerala in the next 24 hours. “There are Monsoon-like conditions over Kerala and we can say that the annual rainfall season has arrived,” Skymet CEO Jatin Singh told PTI. The Skymet, in its forecast, said that Monsoon would hit the Kerala coast on May 28, while the IMD has made a prediction for its arrival on May 29. According to the IMD, if after May 10, 60 percent of the available 14 stations –Minicoy, Amini, Thiruvananthapuram, Punalur, Kollam, Allapuzha, Kottayam, Kochi, Thrissur, Kozhikode, Thalassery, Kannur, Kudulu and Mangalore — report rainfall of 2.5 mm or more for two consecutive days, the onset of Monsoon over Kerala can be declared on the 2nd day. This is one of the main parameters for the declaring the arrival of monsoon. Besides this, the other parameters for the arrival of Monsoon should be that the westerly winds must be up to 15,000 feet above main sea level and outgoing long-wave radiation should be less than 200 wm-2 (watt per square metre). “The long-wave radiation is 140 wm-2. Rain for consecutive two days have been recorded in almost all weather stations and even the wind criteria has matched to safely say that the Monsoon has hit Kerela,” said Mahesh Palwat, Vice-President (Meteorology and Climate Change) of Skymet. Conditions are favourable for further advance of Southwest Monsoon into some parts of South Arabian Sea, remaining parts of Comorin Maldives area, some parts of Kerala, Tamil Nadu, some more parts of South Bay of Bengal, remaining parts of Andaman Sea and Andaman and Nicobar Islands during the next 24 hours, the IMD said in its forecast. “The Monsoon is expected to hit Kerala in the next 24 hours,” Mritunjay Mohapatra, Additional Director General, IMD said.